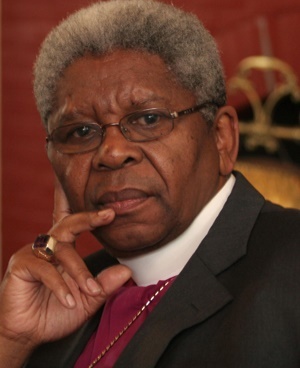 Cape Town – The 2018 budget is an example of robbing the poor to buttress the rich and is anything but a Robin Hood budget, according to Anglican Archbishop Emeritus Njongonkulu Ndungane. The Archbishop said that far from taxing those who can afford to pay, the governments budget effectively robs the poor of any hope in the short term of improving their lot. Even though the increase in social grants and in pensions are above the rate of inflation, they will simply be swallowed up in the increase in the VAT rate from 14% to 15% and in the 52c a litre increase in the fuel levy. The truth is that the looting through state capture of the Zuma administration has now caught up with us, and, once again, it is the poor who are going to suffer the brunt of the burden of balancing our budget, he said. Treasurys belief that the ability to raise the corporate tax rate is limited in the light of global competition is a clear admission the corporate shareholders are being shielded from unwieldy tax hikes, which can only be at the expense of the person in the street, including the poor, Ndungane said. At the same time, he welcomed the new administrations intention to reduce a bloated Cabinet and number of government departments, and the renewed determination to decrease the drain of state-owned entities on the fiscus. Now we need action to back up the laudable words of new President Cyril Ramaphosa on SOEs. He added that one of the pleasing aspects of the budget is that no provision has been made for any expenditure on the proposed nuclear build programme over the next three years. We trust that this means that our government is finally saying a very firm no to the nuclear programme and that this foolhardy pet project of former President Jacob Zuma is being thrown out of the window once and for all. “In its place, government needs to look with greater seriousness at alternative forms of energy generation, Ndungane said.